Our 4 shaft shredder for sale is available in 12 versions and offers full modularity, meeting various demands for different materials such as paper, cardboard, plastic, hospital waste, wood and post-consumer products in aluminium and plastic, packaging and much more. Our technology ensures control of fraction size of the processed material. Flexibility is provided by four different electric motor options: from 40 HP (two 20 HP motors) until 60 HP (two 30 HP motors) and three different shredding chamber sizes: 698×800, 1044×800 and 1218×800 mm. Customization is focused on screen size and blades thickness to achieve the demanded fraction size. A PLC provides full automated machine control by components which are part of the Industry 4.0 project. Also, they allow communication in compliance with the Internet of Things. 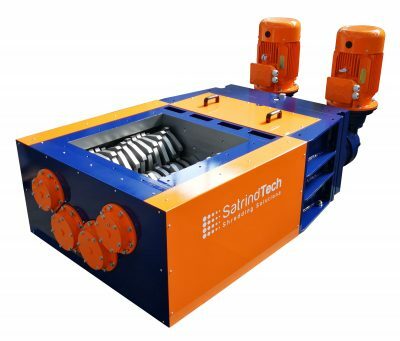 For more information about our four shaft shredder, please contact our specialist team today!